Service Costs > How Much Does a Foundation Inspection Cost? How Much Does a Foundation Inspection Cost? A foundation inspection, commonly performed by a structural engineer, is a process of looking closely at the foundation of a house or building to determine whether it is stable and strong. A foundation inspection is a guide to help you learn more about your foundation and if any repairs are needed. On average, foundation inspection costs are going to be anywhere from $350 to as much as $1,000. The cost of this inspection will depend on the size of the property, the type of property, the professional you use and where you live. Forum members on City-Data.com claimed they had paid around $300 for a full foundation inspection. On Trulia, a real estate agent said you should be prepared to spend about $300 to $400 to have a foundation repair company come in and evaluate the property with a structural engineer. Foundation Repair Guide created a handy article, telling us what we should look for in a foundation inspection and what should be inspected. According to his charges, he would charge anywhere between $450 and $750 for a foundation and structural inspection, and this cost would depend on the size of the property and if there was a crawl space. A report, known as a “distress analysis,” will be created by the inspector. This report is going to itemize all of the observations noted around the foundation. This can include all noticeable cracks, defects and other observations if noted. These reports can also include comments about the soil around the foundation, the slopes, the retaining walls (if any), the subflooring, floors, and the materials that have been used, and next to each item, the inspector will put in his or her own comments. A manometer survey should be done as well. This survey will help determine if the cracks are causing stress for the home or whether they are superficial. During the manometer survey, the inspector will be able to tell if the floor has moved or if any active movement is going to happen in the future. Upon completion, the inspector should be able to closely estimate what the foundation repairs are going to cost if any were required. This can either be done by offering a ballpark estimate or an itemized list, showing you what each individual repair may cost. 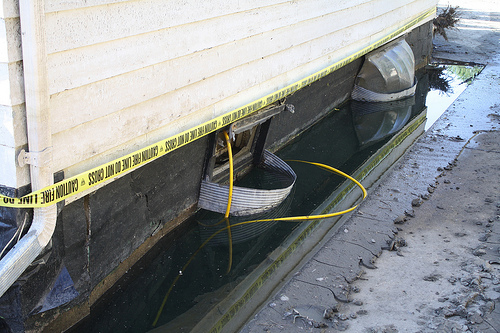 If the foundation does have to be repaired, the costs can vary greatly. Depending on the extent of the repair, homeowners often find themselves paying anywhere from $3,000 to more than $10,000 for a repair. A small crack could cost as little as $500, whereas major foundation repairs, which involve a hydraulic pier, could easily cost more than $10,000. Houses that have a crawlspace may have to pay $100 to $200 more for their inspection. The floor(s) in your home may have begun to sink or slope, causing the wall to separate from the floor. A crack in this position can also cause water damage if not taken care of immediately. When cracks appear in the interior and exterior bricks, the most likely cause is that there is too much pressure on the specific area. This means the weight of the house is not properly distributed, which is a result of a poor foundation. If the molding on the ceiling is beginning to crack, this can mean that the walls are beginning to sink. This same problem could result in a space between the walls and the ceiling rather than a crack. When a foundation is faulty, the walls may begin to bow in or out slightly. This will be hard to notice with the naked eye. If you have a tile or cement floor, you may start seeing cracks on the floor. If you have a door or window that will no longer close properly, it may be because the position of the walls has shifted. Window frames may begin to separate from the wall on the interior or exterior of the house. A vertical crack in the corner of the walls of the house may appear if one wall has shifted while the other stayed secure. The ideal professional for foundation repair should hold both a civil engineering and general engineering license. These professionals should also have experience in repair and working track record over the years. Remember, a home inspector will be much different than a foundation expert who’s a structural engineer. An inspector, in general, will be able to look for signs of problems, but they won’t be able to offer a for certain answer unless they are a licensed structural engineer. If in doubt, especially when purchasing a home, it may be wise to call in an engineer as well. It is also best to work with an inspector that has close ties to foundation repair experts. When purchasing a new home, it is extremely important that you get this sort of inspection done. This inspection will not only help prevent problems in the future, but it could potentially save you thousands of dollars on costly repairs. According to a BizJournals.com article, the average cost of foundation repair in the state of Texas is $8,000. Try to get as many estimates ahead of time. If you don’t know where to start, consider using HomeAdvisor.com for free. Here, you simply explain your job and reputable contractors will contact you with a ballpark estimate. Some companies may perform the initial inspection for a lower cost if you choose them as the contractor in the future. If you go this route, you can save as much as 15 percent or more. Many companies perform free inspections if you agree to use their service if any repair is needed. Keep in mind, though, that these inspections tend to be rather basic and you probably will not get much from them.